This Rawlings Name Model bat has been personally hand signed and inscribed "HOF 82" by Frank Robinson. 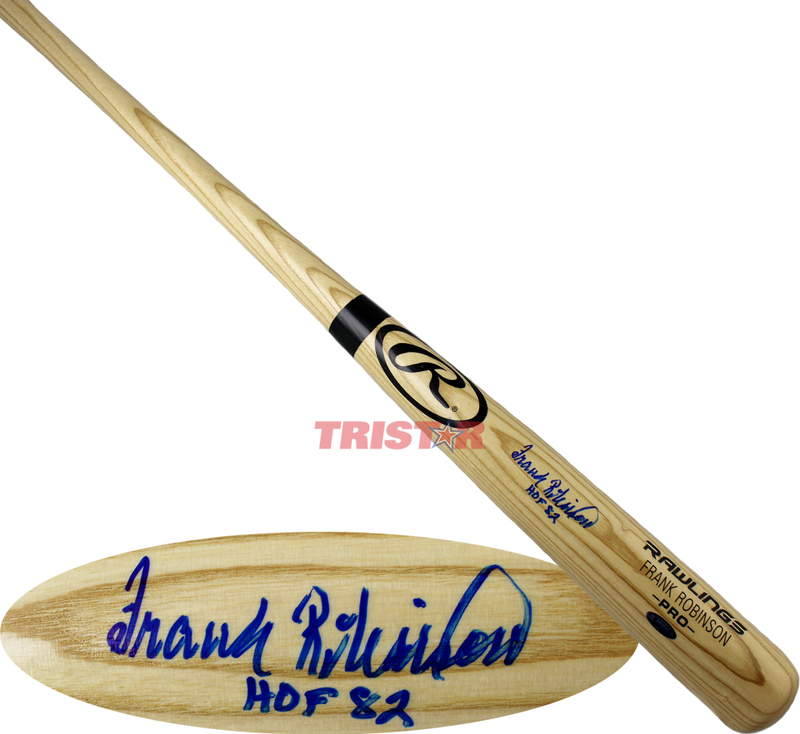 Each autographed bat includes authentication from TRISTAR Productions, and can be verified by entering the hologram number at www.tristarauthentic.com. Frank Robinson, the only player to win league MVP honors in both the National League and American League, was elected to the Baseball Hall of Fame in 1982. A member of two World Series championship teams, Robinson was a 14-time All Star. Robinson's historic major league baseball career included many awards and honors, including the 1956 NL Rookie of the Year Award, 1966 World Series MVP Award and more recently, 1989 AL Manager of the Year Award. Robinson concluded his playing career with 586 home runs, which currently ranks ninth all time.